Watching our children press their little hands onto a freshly cleaned window usually has us feeling defeated. It makes us feel like the home will never be clean, so we might as well give up. 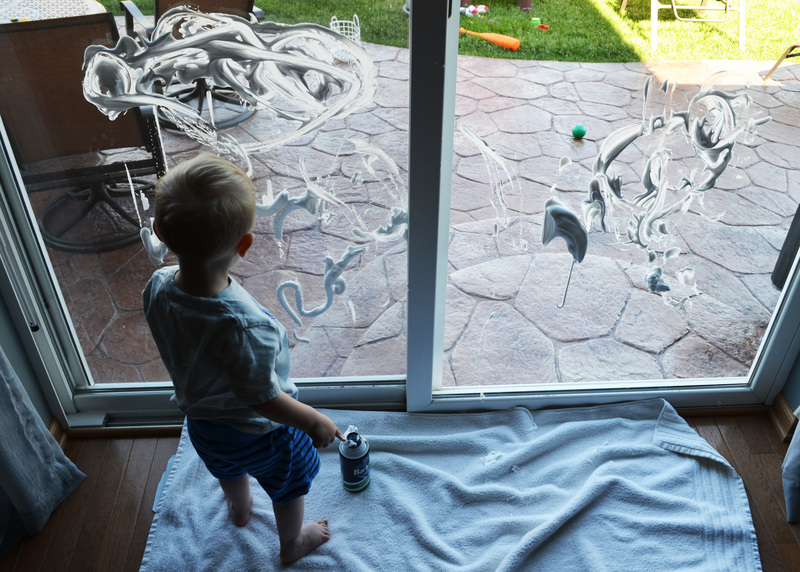 I have given up worrying about my windows being clean. I have learned to stop looking at the hand prints as dirty smudges, but instead as if they are little memories that will fade and should be cherished. After my son Patryk passed I wished so deeply that I could smell him (like all mothers do to their child’s head.) Trying to find his scent by smelling his cloths, but it didn’t work. Flipping through his art work hoping to find one picture I had never seen before. Just looking for something, anything! Moving things out of my car one day I found exactly what I was looking for…His tiny hand print was right in front of me on the rear window. I began to cry and stare deeply at his tiny print, thinking of how normally I would tell him not to put his fingers all over the glass. This was truly the greatest gift he could have left me, it was an unexpected lesson to learn to let go of the little things. That smudge on the window became the most beautiful reminder that my son was here. I began to think about how this print would also one day no longer be here. In such a surreal time I needed that gift of knowing he was here because as quickly as his life ended it felt like everything in the world went on as normal. Normal is something I would not feel for a very long time, but looking at that tiny hand print everything felt as normal as possible. Now as I sit on the couch writing this, I stare at the window in the living room that my son Maxwell loves to gaze out of. Sure enough I see a perfectly placed greasy hand print. Normally a mother’s instinct would be to grab the Windex. I do not dare! It will one day be gone, but for now I look at that print and smile. It is such a beautiful day, my son is healthy and here on earth to make many more prints of art all over my home. I’m filled with joy just sitting here looking at the print not crying, but smiling because life is so precious. His tiny prints will one day be gone, but the impression they leave in my heart are forever.